Besides producing subversive, gospel-informed gqom (a style of house developed in South Africa, often compared to Chicago footwork) the duo FAKA are political activists, music video directors, run their own club night ‘Cunty Power’ and publish journalism. They are currently touring their energetic live show throughout Europe, and will arrive in London in June. Comprising artists Fela Gucci and Desire Marea, FAKA have been performing live since 2015. 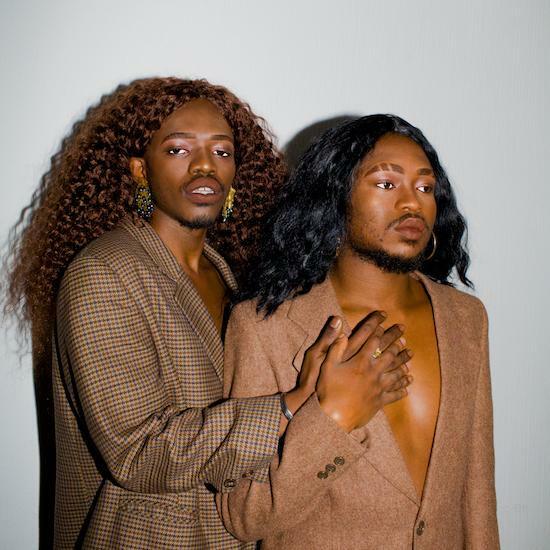 In an interview with The Quietus in March, Desire discussed black queer experiences, audience engagement, the evolving position of gqom, stereotyping and more. You can read the piece here. FAKA’s latest release is 2017’s Amaqhawe. Find full tour dates for FAKA below. They play Birthdays in Dalston with Angel-Ho on 21 June.